Star Wars is something that’s so special to so many people, that the mere idea of actually creating something new and fresh in that universe would be daunting. And yet, that’s what J.J. Abrams did with The Force Awakens. Abrams co-wrote the script for Episode VII with Lawrence Kasdan, who co-wrote The Empire Strikes Back and Return of the Jedi. This wasn’t the plan at first. Originally, Abrams was set to direct, with Kasdan consulting, and Oscar-winner Michael Arndt penning the script. So how did we end up with the script we have today? We asked Abrams to take us through the early days and explain how this new story came to be. The team settled on a huge mix of things: exhilaration, thrills, heartbreak, joy, fear and spirituality, to name a few. And that lead them to the next step. “Why are we telling the story at all? If we wanna feel that way, how do we do it? Who are these new characters? ‘Cause this had to be a new story about new people. And that was all gonna be about trying to serve that feeling,” he said. At that point, they hit a bit of a bump. Arndt – who Abrams describes as a “precise gentleman” – said he needed 18 months to finish the script. He only had six. Kasdan agreed, but because he was now coming on board with a different position, he decided he wanted to wipe the slate clean. One instance where they didn’t go backward, though, was with some of the preconceived sequels to Return of the Jedi in the Expanded Universe. In that world, there are several stories of what happened to Luke, Han, Leia, their kids and more. But Abrams realized quickly, those had to be thrown out. 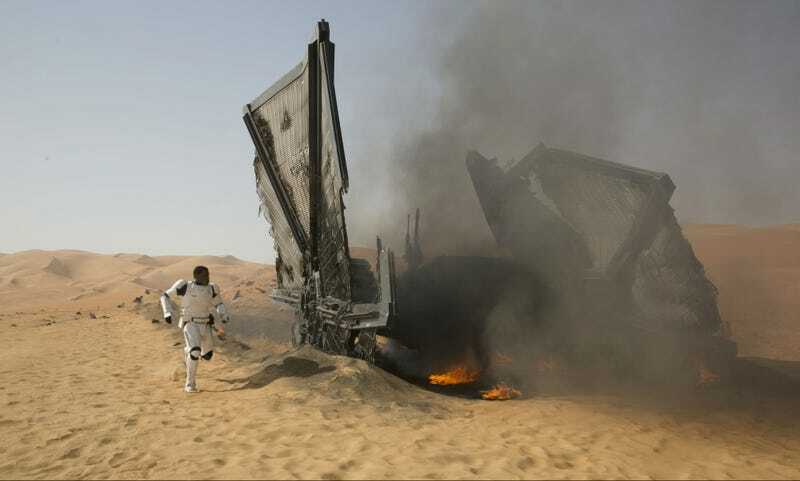 That said, Abrams admitted they didn’t necessarily throw out every single thing. However, things being “lesser known” was one of the keys to making The Force Awakens stand up with the original films. With Star Wars: The Force Awakens already breaking all kinds of ticket sales records, fans are ready to be preached to, no matter what. And now, we get to do it again every single year.